Listen to the live version! The state’s economic development agency is looking for a new president. Former President and CEO Bill Johnson resigned last month. But he’s still acting as Secretary of Commerce, for now. He stepped down after Scott ordered a $6 million downsizing. Luis Orbegoso, Business Development leader, says despite the setback, they’ll come close to their state job creation goal for the year. “Now, as you may imagine, we are facing challenges due to the low amounts of closing funds available. But we are confident that we will get to at least 23 thousand jobs by June 30th, which would be about 4,500 jobs short of our goal for this fiscal,” Orbegoso says. Vice Chair Alan Becker echoes Orbegoso’s optimism. . He points out they did receive money for operational, marketing and international budgets. “Yeah I don’t think you can say often enough or loud enough that, notwithstanding the lack of support for the closing fund, there’s no basis to conclude from that a lack of legislative support for Enterprise Florida." Becker says the Legislature’s rejection of closing funds doesn’t mean they've been hung out to dry. “It’s just that there was so much focus on the Enterprise fund that all this other really good results, you know, tend to be overlooked, and I don’t think we should let people overlook them,” Becker says. 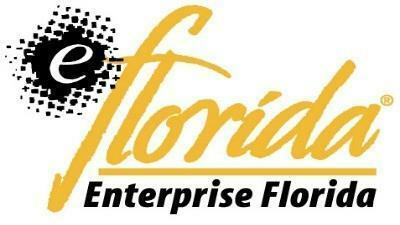 A spokesman says Enterprise Florida will continue to work with the Governor’s office for the next legislative session.